The Pine Creek Wilderness is a natural environment designated by United States Congress in 1984. 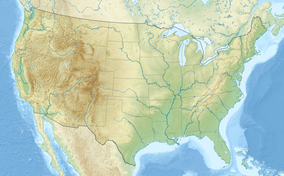 It is located entirely in California, and managed by United States Forest Service. The Pine Creek Wilderness is sloping area in the Cleveland National Forest, spread across an area of 13,261 acres. It is ranging from 2,000 feet elevation in the south to 4,000 feet in the north. It is situated entirely in California, bordered by the Hauser Wilderness to the south. ^ "Pine Creek Wilderness - U.S. Forest Service - Wilderness". CaliforniaTrailMap.com. CaliforniaTrailMap. Retrieved 14 January 2018. ^ a b "Pine Creek Wilderness". Wilderness.net. Wilderness.net. Retrieved 19 January 2018.